Low carb, high protein version of your favorite childhood treat. Drizzled with chocolate protein and vanilla proteins! Pre-Heat oven to 350f. Using a cupcake pan, flip it upside down and place folded tortillas between the cups to keep them up right and folded while baking. Bake for 5 minutes. While cooling, place the ice cream in a piping bag or plastic bag and cut the tip about 3/4 of an inch. Pipe half of the ice cream into one taco and half into the other. Place them in the freezer while you prepare your chocolate. Mix chocolate and vanilla protein powders with water, 1 tbsp. at a time until you reach a pourable consistency (not too runny). 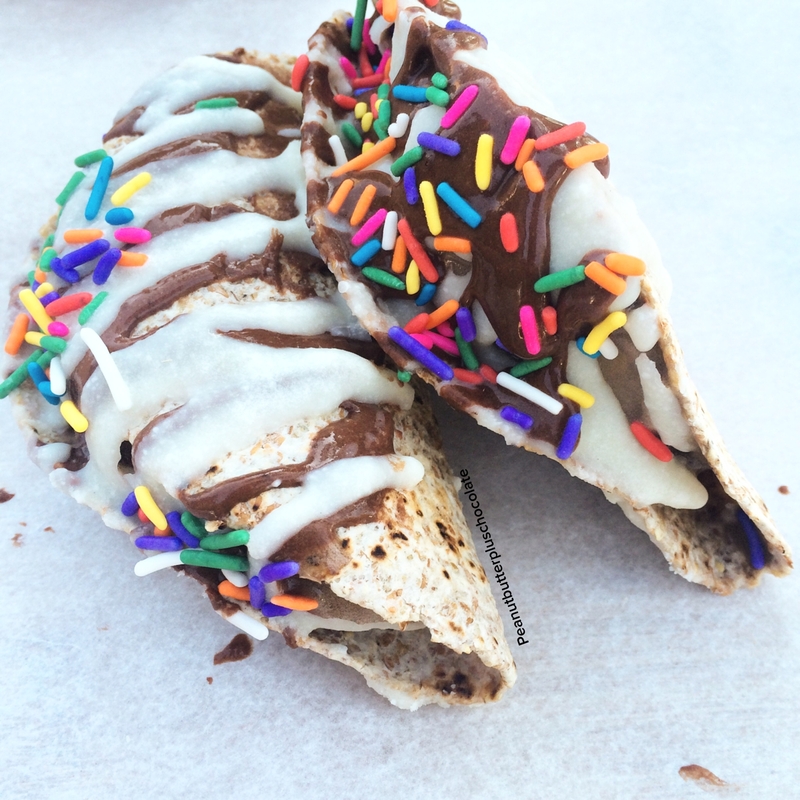 Drizzle chocolate over tacos. Return to the freezer. Let them set in the freezer for 5 minutes or until the chocolate and vanilla harden. Enjoy!